WASHINGTON — The choices of Tom Price and Seema Verma for top health positions under Donald Trump have reaffirmed the president-elect’s commitment to toppling the Affordable Care Act. Price, a six-term Republican congressman from Georgia and fierce critic of Obamacare, was picked as secretary of the Department of Health and Human Services (HHS), while Verma, a health care consultant, was selected as administrator of the Centers for Medicare & Medicaid Services (CMS). Verma helped craft a deal for some Medicaid recipients in Indiana to contribute toward their care in exchange for the program’s statewide expansion. She has also helped other conservative states seeking similar ­concessions. Price, an orthopedic surgeon, “is exceptionally qualified to shepherd our commitment to repeal and replace Obamacare and bring affordable and accessible health care to every American,” Trump said in a statement. 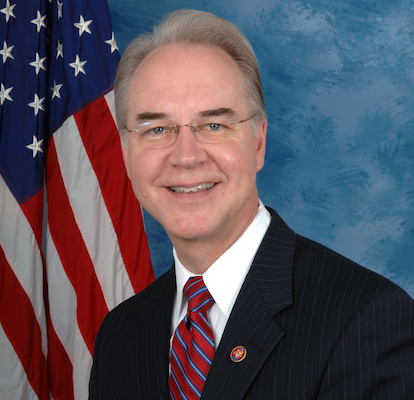 Price, who represents the wealthy northern suburbs of Atlanta and chairs the House Budget Committee, has helped draft several alternatives to the ACA, which Trump promised to do away with on his first day in office. Price’s own bill, the Empowering Patients First Act, would supplant mandated health insurance with a free market-based system, including less stringent consumer protections and greater freedom for physicians. Verma is president, chief executive officer and founder of SVC Inc., a national health policy consulting company. For more than 20 years, she has worked extensively on a variety of policy and strategic projects involving Medicaid, insurance and public health, working with governors’ offices, state Medicaid agencies, state health departments, state departments of insurance, as well as the federal government, private companies and ­foundations.